On Thursday, May 11th, El Museo del Barrio, the nation’s premiere Latino and Latin American cultural institution founded by the Puerto Rican community, celebrated its 25th Annual Gala. Considered the museum’s most important fundraising event of the year, the Gala, held at The Plaza Hotel in New York City, welcomed nearly 400 luminaries and leaders in business, finance, fashion, entertainment, art and philanthropy. The evening included a silent and live benefit auction, in partnership with Paddle8, featuring works of art generously donated by artists, including Francis Alÿs, Abraham Cruzvillegas, Carmen Herrera, Raphael Montañez Ortiz, Liliana Porter, among others. El Museo’s Executive Director, Patrick Charpenel, and Museum Trustee, Clarice Oliveira Tavares selected all works. The evening’s efforts raised more than $900,000 in support of El Museo’s ever-expanding Permanent Collection, acclaimed exhibitions, innovative programs, and renowned bilingual education initiatives. 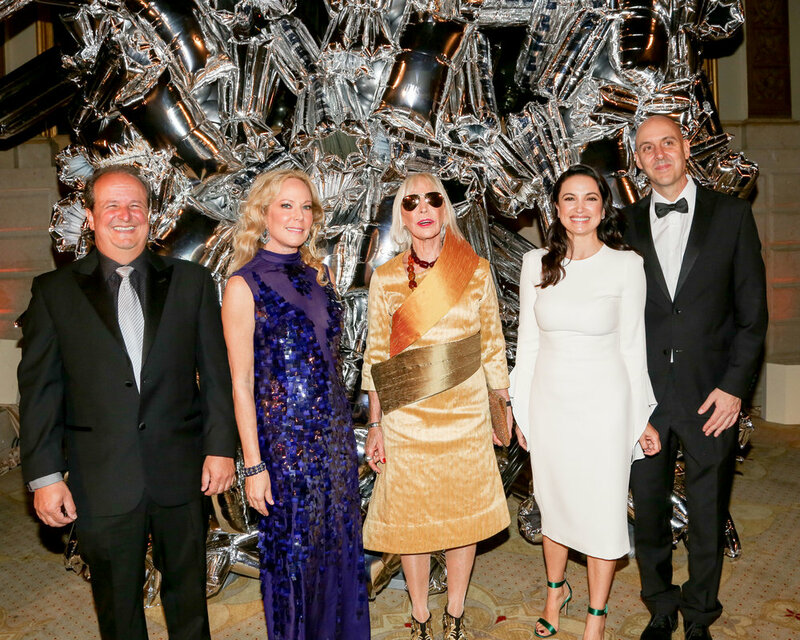 El Museo’s 25th Annual Gala honored four individuals who have distinguished themselves in the fields of fashion, arts and cultural patronage. These include: artist Marta Minujín for Excellence in the Arts; fashion designer Esteban Cortazar for Excellence in Fashion; collector César Reyes, as an Outstanding Patron of the Arts; and music producer Maestro Julio Reyes Copello, as a Cultural Pioneer. The gala and Museo is supported by a partnership with 11th generation master tequila makers, Maestro Dobel Tequila, who generously provided specialty tequila cocktails, and will be supporting museum events throughout the rest of the year. Maestro Dobel Tequila is a brand at the intersection of legacy and innovation, and looks to foster new creative conversations around Mexican art and culture, and its influence on international trends. Immediately after the evening’s program, guests celebrated with a spirited dance floor lead by Avenida B Salsa Dura Band, an 11-person salsa band based in New York City. El Museo del Barrio, New York’s leading Latino cultural institution welcomes visitors of all backgrounds to discover the artistic landscape of Latino, Caribbean, and Latin American cultures. Their richness is represented in El Museo’s wide-ranging Permanent Collection and critically acclaimed exhibitions, complemented by film, literary, visual and performing arts series, cultural celebrations, and educational programs. El Museo del Barrio is located at 1230 Fifth Avenue at 104 Street in New York City. The Museum’s Galleries are currently undergoing renovations and will reopen to the public in the fall of 2018. For more information on these and other renovations, visit www.elmuseo.org.